Ideal for New Divers and Those wanting to ‘Warm Up’ for the new season. Grab your mask and fins and come on down to Portland for a weekend and log some of your first UK dives of 2014! 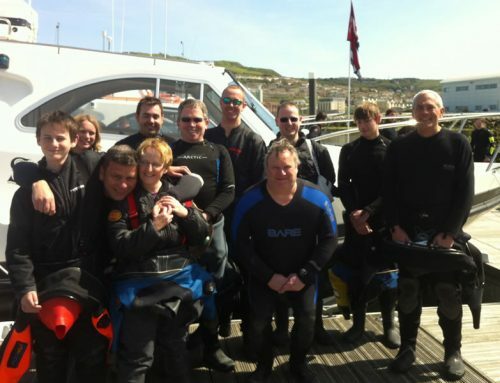 These are specially constructed weekends for those who want to dip their toe in UK waters for the first time, gain some UK experience or maybe take a nice easy shallow dive before the start of the season. The trip is designed to help you find your fins and gain confidence. We will look after you, help you and guide you. This is your chance to ask questions, learn boat etiquette, try new kit etc. No question is too silly and no request for help or advice will be scowled upon!